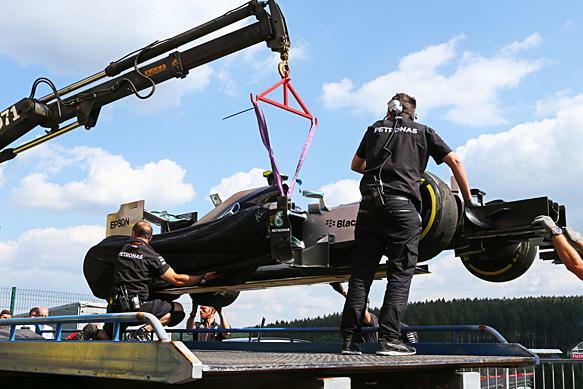 Formula One has returned after its 3 week summer break for the two Friday practice sessions for the 2015 Belgian Grand Prix at Spa Francorchamps. Nico Rosberg ended the day as the fastest man in both sessions, with Lewis Hamilton just behind followed by the Red Bull and Ferrari drivers on both occasions. The day wasn’t so simple for Rosberg after a scary tyre blow out at almost 200mph in practice 2. Nico Rosberg held an advantage of 2 tenths of a second over team-mate Lewis Hamilton in the first 90 minute practice session at Spa Francorchamps. Unlike some practice sessions so far this year, their rivals seemed to be close to them. Red Bull and Ferrari had both of their drivers within a second of Nico Rosberg; with Daniel Ricciardo 3rd ahead of Kimi Raikkonen, Sebastian Vettel and Daniil Kvyat. Max Verstappen was announced as a Toro Rosso driver just over a year ago now and will be looking for a good result following his fantastic 4th place last time out in Hungary. He finished the first practice session in 7th; just ahead of his team-mate Carlos Sainz. Sergio Perez and Valtteri Bottas rounded out the top 10, with Pastor Maldonado 11th. The Venezuelan caused the session’s one and only red flag after crashing on the exit of Les Combes. He would not make it back out until after the second session had begun. Jolyon Palmer was in the sister Lotus car and was the only reserve/test driver to make an appearance this weekend. He ended the session 17th fastest. 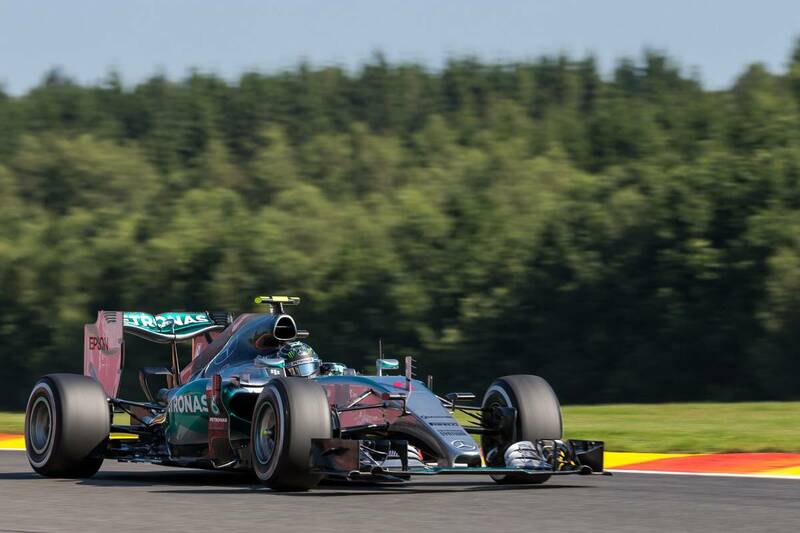 Nico Rosberg continued to hold his advantage in the second practice session at Spa as he kept the lead ahead of Lewis Hamilton. The pair were separated by just 3 tenths, with Daniel Ricciardo continuing to be their closest challenger in the Red Bull; 7 tenths the gap between the Australian and Rosberg. Nico’s session was ended rather abruptly after he suffered a scary tyre blowout at Blanchimont; one of the fastest corners on the circuit as the drivers reach speeds of up to 200mph. Thankfully the blowout only resulted in a high-speed spin rather than contact with a wall. The red flag was bought out to clear the track of tyre debris. Daniil Kvyat and Kimi Raikkonen continued to show reasonable pace in 4th and 5th. The pair were just over a second off of Rosberg at the top of the time-sheets. Nico Hulkenberg was 6th fastest for Force India ahead of Romain Grosjean in the Lotus. Sauber looked to be more competitive now that they have received upgraded Ferrari engines. Marcus Ericsson and Felipe Nasr were 8th and 9th in the session; but Ericsson’s session ended prematurely after the Swedish driver put the car in the wall at Pouhon. The car was quite heavily damaged, with Marcus apologizing to the team on the radio soon after the impact. Sebastian Vettel was only 10th fastest in the second session and seemed as though he was slower than his newly resigned team-mate Kimi Raikkonen so far this weekend. He was 1.5 seconds down on Rosberg’s fastest time in P1.